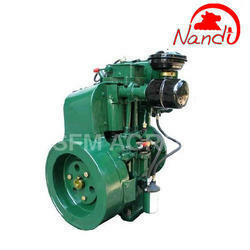 We are a prominent manufacturer, supplier and exporter of a wide range of Diesel Engines. These products are manufactured using optimum quality raw material and advanced technology. Our products are acknowledged for their features like high efficiency, low maintenance, longer service life, trouble-free performance and sturdy construction. Owing to these features, our products are in hammer mills, irrigation pumps, construction sites, alternators and animal feed machines. Our range includes Air Cooled Diesel Engines and Water Cooled Diesel Engines. We are one of the trusted names of the industry engaged in offering a wide range of high-quality Water Cooled Diesel Engines in the market. These engines are designed and manufactured by a team of our qualified engineers, at our state-of-the-art production unit. In addition to this, we check these engines on numerous parameters before final dispatch. 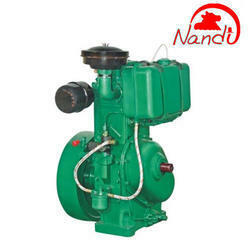 We have gained expertise in offering an excellent range of Air Cooled Diesel Engines to the clients. Looking for Diesel Engine ?